Foster the art and cultural diversity of Taipa Village. 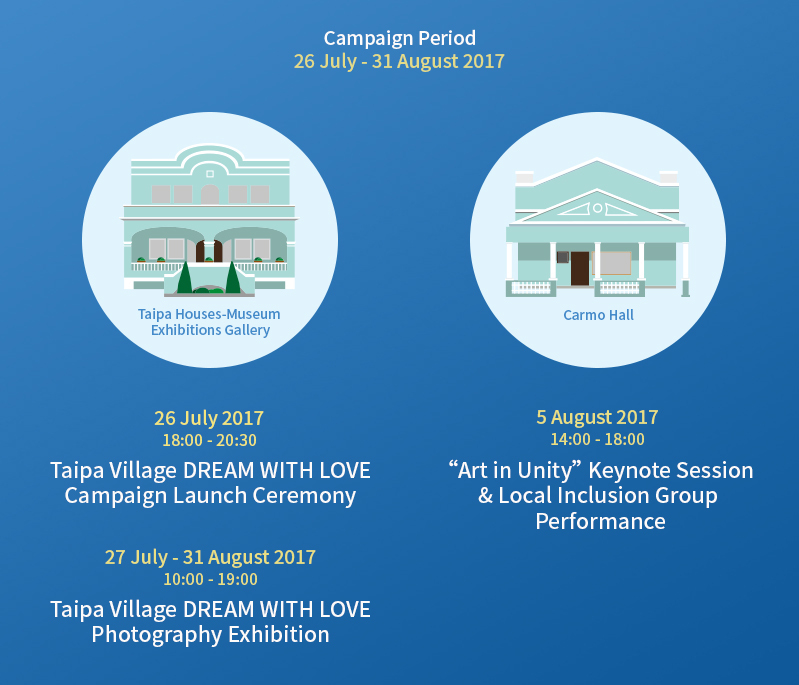 Taipa Village Cultural Association is going to introduce a charity program in July and August this year, named as “Taipa Village DREAM WITH LOVE” Campaign which integrates Art, People and Community. Organized by Taipa Village Cultural Association, in collaboration with British Council and Macau Digital Photography Association, this campaign aims to support the local underprivileged community and disabled by raising their social acceptance and positive profiles in the community through our love and dedication. 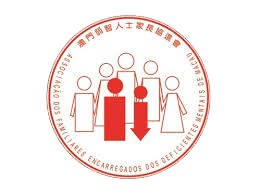 The campaign consists of a series of art events and activities under the cultural backdrop of Taipa Village and its charming scenes, including a collective photography exhibition, keynote sessions, special performances and charity events which will collectively promote the value of “One Unity” and “Embrace Diversity”. This campaign is going to co-organised with British Council by bring in an inspiring and emotive photo collection from UK – 11 Million Reasons Exhibition for Taipa Village DREAM WITH LOVE Photography Exhibition, making its debut in Macau and the 2nd stop in Asia. Presented by British Council, 11 Million Reasons aims to raise public awareness and show respect to those fighters who face and overcome their physical constraints through 20 powerful, emotive and humorous images, inspired by iconic dance moments from classic films. Alongside there are 2 local photography series has been developed featuring the disabled & abled community to echo the British version and named as The Harmony Collection and The Dream Collection. The Harmony Collection captures the magic moment of the interaction between local community, merchants, underprivileged community and disabled during the community events through 10 joyful, blissful and touching images. The Dream Collection aims to bring the disabled and the professionals together, allowing the former to share and learn about the photography theory and shooting skills, so as to deliver the positive message of “Physical Constraints Do Not Affect Personal Ability” to general public. Aside from promoting the “One Unity” and “Fair Opportunity” concepts to general public with photography exhibition, bringing in professional knowledge of “Generating a better Experience” to the industry professionals is one of the major highlights in the Taipa Village DREAM WITH LOVE Campaign . Taking place on the 5th August from 14:00 – 18:00 in Carmo Hall, the “Art in Unity” Keynote & performance session is going to invite different community associations including Macau Autism Association, Macau Deaf Association, Art with Disable Association, Ivy Kok a vision impaired victim as well as Macau local singer Romeu to share different ideas and performances of achieving one unity with Love & Art.